Shigeru Ban (born Tokyo, 1957) attended SCI-Arc in California and earned his degree at the Cooper Union School of Architecture in New York. 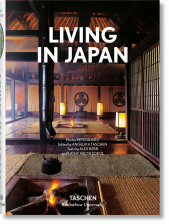 Based in Tokyo and Paris, Ban consistently challenges accepted notions of architecture,designing a house without walls, or an exhibition space made from paper tubes and shipping containers. 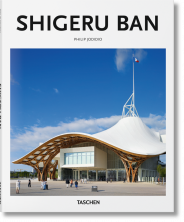 This monograph, compiled with the architect’s collaboration, traces his career and features every built work of Shigeru Ban, showing clearly why he is one of the world’s most innovative and significant architects. Unlike many of his peers, Ban can create remarkable residences and still find time to design emergency relief housing for disaster areas from Kobe to New Orleans. Often using paper or cardboard tubes as a structural element, his designs give new meaning to the term "Paper Architect." 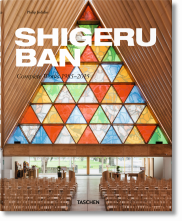 "Famous for using paper tubes and cargo containers in his portable designs, Japanese architect Shigeru Ban gets the monumental treatment in Shigeru Ban: Complete Works 1985-2010."